See what I have for auction on e-bay! About Me: Hello and welcome to my homepage. I'm Charlie Hugg and I live in Abilene, Texas. Abilene is located almost exactly in the middle of Texas. I was born and raised in Amarillo, Texas. I have been a radio amateur since 1961. My first call sign was K5MBX, which changed to W0LNI when I moved to Mexico, Missouri for a short while. When I moved back to Texas I became W5SGT. I have since got my original call sign back. My Elmer in amateur radio was a fellow I met in the 6th grade by the name of Docc Miles Jonsson. He sparked my interest in amateur radio, first as a short wave listener. He had a Hallicrafters S-38 E and helped me to find my first short wave receiver, a Hallicrafters S-38 C. He got his general class license in 1960, and then gave me my novice test in January 1961. I got my general class in the summer of 1961. I was an active amateur radio operator through Jr. High and High School, but became somewhat inactive during my college days. In high school, I worked part time at a couple of radio stations in Amarillo, KCHO and KVII-FM, as an announcer. When I graduated from high school I went to vocational school for about a year studying electronics. In late 1966 I moved to Mexico,. Missouri to work full time as an announcer at KXEO/KWWR-FM. I stayed there about a year and returned to Amarillo to attend College. In 1976 I obtained a graduate degree in Psychology from Abilene Christian University and started my career at Abilene State School. In 1978 I got back into amateur radio, and have been active ever since. I passed the Advance test in 1982 and finally got my Extra Class License about seven years ago. I have earned my DXCC with over 280 countries confirmed, WAC, WAS, etc. My TenTen # is 1367. In 1972 I married a wonderful woman. Her name is Sandi, and she has been a great companion to me for over 40 years and she has supported me in my hobby. In fact she became a ham in July of 2000. Her call is K5HUG. She is the computer expert in our family and is responsible for developing this webpage. We have one child, a daughter, Andrea who lives in Florida. While working at Abilene State Supported Living Center, I served as a Staff Psychologist, Assistant Chief of Psychological Services, Director of Quality Assurance and Director of Human Resource Services. 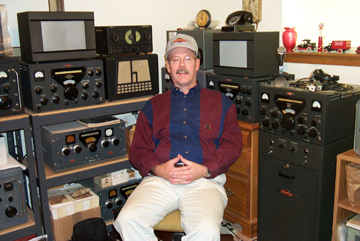 In 1998 I retired and have been enjoying the great hobby of amateur radio more than ever. I spend most of my time collecting, restoring, and operating vintage American-made amateur radio equipment. 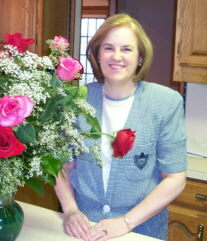 I am also active in volunteer work with the Abilene State Supported Living Center. Gear that I am most interested in include: Collins, Hallicrafters, National, RME, Hammarlund, Johnson Viking, Central Electronics, Signal One, Heathkit, Drake, World Radio Laboraties (WRL) and others dating from the 1920s to the 1980s.